Q: What is Double Up Food Bucks? A: The New Mexico Farmers’ Marketing Association’s Double Up Food Bucks program is New Mexico’s statewide healthy food incentive program. This program doubles the value of federal Supplemental Nutrition Assistance Program (SNAP) nutrition benefits spent at participating farmers’ markets, farm stands, grocery stores, and mobile markets, helping people bring home more locally grown fruits and vegetables. Q: How does Double Up work? A: Double Up Food Bucks is the incentive program that provides recipients of the Supplemental Nutrition Assistance Program (SNAP, formerly Food Stamps) with dollar-for-dollar match to buy more fresh, New Mexico-grown fruits and vegetables. The program is a project of the New Mexico Farmers’ Marketing Association (NMFMA), and is funded by the USDA and the State of New Mexico. Q: Who qualifies for Double Up? A: It’s easy! Anyone receiving SNAP benefits is automatically eligible: if you have a SNAP EBT Card, you can use this program. Q: What can you buy with Double Up Food Bucks? A: Double Up Food Bucks can only be used to purchase New Mexico-grown fruits and vegetables. This list includes unprocessed fruits and vegetables; dried pinto beans; dried black eyed peas; loose, dried chile pods (not on a ristra); plants that produce food (such as vegetable starts); cut herbs; and herb plants. You may not purchase the following items with Double Up tokens: honey, jam, pecans, eggs, meat, bread, seafood, cider, nuts, seeds, maple syrup, dried produce, dried herbs, fermented products, dried beans (except pinto and black eyed peas), food that was not grown in New Mexico, and food that has been processed in any way (drying, cooking, roasting, etc.). Q: How do people sign up? A: No sign-up is needed. As long as you receive SNAP benefits, you quality for the program! Q: How do I find participating locations in New Mexico? A: The program is at almost 80 locations statewide! Find a location on our online map or call us at 888-983-4400 to ask about a participating site near you. You can also see markets in regional flyers. Q: What if there are no participating Double Up sites in my area? A: Call us at 888-983-4400 to let us know you want Double Up in your area! For a complete list of outlets that accept SNAP EBT Cards or other food assistance programs, visit the New Mexico Farmers’ Markets website. Q: When does the program run? A: In most locations, Double Up Food Bucks runs from the start of market season and continues through the fall (May or June through October). Several farmers’ markets, grocery stores, and farm stands participate in Double Up year-round. SNAP EBT Card customers can use the program every day that participating locations are open! Check our locations map for an outlet near you! Q: Does Double Up Food Bucks match WIC? A: No, WIC and Senior FMNP check purchases are not eligible for matching Double Up Food Bucks dollars. Q: What if I do not have a SNAP EBT Card? A: You may apply for public assistance by contacting the New Mexico Income Support Division (ISD) Information Line, available 24/7, at 855-309-3766. You can also contact the Customer Service Center at 800-283-4465. Apply online here. A: There are many ways to get involved. We always appreciate help spreading the word and have free flyers and posters about the program in English and Spanish. You can download them on our Resources page, or call 888-983-4400 or email us to get hard copies. Q: How did Double Up Food Bucks get started? A: In New Mexico, the New Mexico Farmers’ Marketing Association (NMFMA) launched a SNAP EBT incentive program in 2010 with federal stimulus funding provided by the New Mexico Human Services Department. Several farmers’ markets continued the program over the next few years. In 2015, the NMFMA received both federal and state funding to expand the program to more than 30 farmers’ markets, and partnered with the national nonprofit Fair Food Network to roll out the Double Up Food Bucks program. In 2016, Double Up Food Bucks has expanded to almost 80 locations state-wide. The program is funded by the State of New Mexico and the Food Insecurity Nutrition Incentive grant. Q: How does Double Up Food Bucks work at farmers’ markets? A: For every $2 of SNAP benefits customers spend at participating farmers’ markets, customers get $2 of free Double Up Food Bucks to spend on any New Mexico-grown fruits and vegetables. SNAP EBT Card benefits can be spent on any SNAP-eligible items at the farmers’ market including fruits, vegetables, bread, eggs, and meat. Q: When can I use Double Up Food Bucks at my farmers’ market? A: In most locations, Double Up Food Bucks runs from the start of market season and continues through the fall (May or June through October). Several farmers’ markets participate in Double Up year-round, as do grocery store outlets. SNAP EBT Card customers can use the program every day that participating locations are open! Check our locations map to find an outlet near you! Q: What is the minimum amount I must spend from my SNAP EBT Card to receive Double Up Food Bucks? A: At farmers’ markets that use silver Double Up Food Bucks tokens, you must spend a minimum of $2 in SNAP benefits in order to receive the matching $2 in free Double Up Food Bucks (each silver Double Up token is worth $2). Q: Is there a limit on how much I can spend from my SNAP EBT Card at a farmers’ market? A: There is no limit on how much money SNAP customers can spend from their SNAP EBT Card each day! Q: How do I know which vendors accept Double Up Food Bucks at the market? A: Most vendors that sell New Mexico-grown fruits and vegetables at participating Double Up farmers’ markets accept Double Up Food Bucks. Look for the Double Up Food Bucks signs displayed at market stalls, or ask vendors before making a purchase. Q: Does every farmers’ market run the Double Up program the same way? A: All of farmers’ markets run the Double Up program the same way by matching what customers spend in their SNAP benefits with free Double Up Food Bucks silver tokens (each worth $2). Q: Where can I use the Double Up Food Bucks tokens? A: You can use the silver Double Up tokens at any participating farmers’ market in New Mexico. For example, you could earn your Double Up Food Bucks in Albuquerque but spend them at a participating farmers’ market in Las Cruces. You can also use your tokens at the Taos Food Co-op. Q: What is the difference between silver Double Up Food Bucks coins and the other coins? A: Silver Double Up Food Bucks tokens can only be used to purchase New Mexico-grown fruits and vegetables with eligible vendors at participating farmers’ markets. The silver Double Up tokens are given to you for free at the farmers’ market information booth when you use your SNAP EBT Card benefits to shop at participating farmers’ markets. Each silver Double Up token is worth $2 and has no cash value. The value of the silver Double Up tokens does not come off your SNAP EBT Card. Double Up silver tokens can only be used for fresh, New Mexico-grown fruits and vegetables. The SNAP EBT Card tokens can be used to purchase any SNAP-eligible items at the market, including fruits, vegetables, bread, cheese, and meats. These coins must be spent at the market at which you received them. The value of these tokens does come off your SNAP EBT Card. Q: How does it work at farm stands and grocery stores? A: Double Up Food Bucks are applied point-of-sale to your local produce purchase at farm stands, and grocery stores. Find the nearest grocery store, farm stand, mobile market, or community supported agriculture outlet that accepts Double Up. Look for Double Up Food Bucks signage showing which products are eligible. Pay with your EBT card just like you do at any other store and you will receive a dollar-for-dollar match to help you buy more New Mexico-grown fresh fruits and vegetables. No tokens will be used at most grocery stores, farm stands, mobile markets; just pay for your food at the cash register and you will receive the automatic discount. 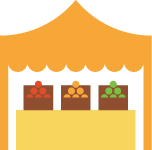 Smaller grocers or farm stands, however, might use tokens as the form of currency for your free fruits and vegetables. You can use the tokens immediately, save them for your next visit, or use them for New Mexico-grown produce at a farmers’ market. Q: What can customers buy with silver Double Up Food Bucks tokens? A: Customers can only use Double Up Food Bucks to buy New Mexico-grown fresh fruits and vegetables, and plants that grow edible foods. As always, customers can spend SNAP Card currency on almost anything edible at the market, except ready-to-eat prepared foods. Foods that can be purchased with wooden tokens: Any food or food product intended for human consumption can be purchased with wooden tokens, except alcoholic beverages, tobacco, and hot food products prepared for immediate consumption. Eligible items also include seeds and plants grown by eligible households to grow food for their personal consumption. For example, wood tokens can be used to buy breads, fruits, vegetables, meats, dairy products, and seeds/plants intended to grow food (not flowers or bird seed). Foods that can’t be purchased with wooden tokens: Food that is hot at the point of sale, food that is to be consumed immediately at the market or in the store, any type of alcoholic beverage or tobacco product, vitamins, medicine, pet food, non-food items, or any item that is not a food or food product intended for human consumption. TANF (cash assistance) benefits can’t be used to buy wooden tokens; tokens are only for SNAP EBT Card transactions. The rules are just like at any other grocery outlet. Foods that can be purchased with silver Double Up tokens: Silver Double Up tokens can be used to buy New Mexico-grown fresh fruits and vegetables that also meet SNAP EBT requirements. This list includes unprocessed fruits and vegetables; dried pinto beans; dried black eyed peas; cut herbs; herb plants; loose, dried chile pods (not on a ristra); and plants that produce food (like vegetable starts). Foods that can’t be purchased with silver Double Up tokens: Silver Double Up tokens can’t be used to buy honey, jam, pecans, eggs, meat, bread, seafood, cider, nuts, seeds, maple syrup, dried produce, dried herbs, fermented products, dried beans (except pinto and black eyed peas), food that was not grown in New Mexico, and food that has been processed in any way (drying, cooking, roasting, etc.). Q: Why can customers only buy New Mexico-grown fruits and vegetables with DUFB? A: Double Up is a program with multiple goals: first is to help low-income families access more fresh, healthy foods, and second is to to support local farmers. By restricting Double Up to New Mexico-grown produce, the program helps local farmers boost their incomes, which is great for New Mexico’s economy. Customers can still use regular SNAP EBT Card benefits for other food items, like meats, cheeses, and fresh breads. And because customers will have twice as much to spend, vendors selling these items will see the benefit of Double Up as an increase in sales. Q: How do I get paid for DUFB? A: Turn in your DUFB in the same way you turn in SNAP Card currency. The market will reimburse you for all the DUFB tokens you turn in according to normal market policies for SNAP EBT Card reimbursement. Q: Can customers use Double Up Food Bucks tokens anywhere else? A: Yes! Double Up is a statewide program. There are around 45 markets around New Mexico participating in Double Up (visit here to find the other sites). Double Up is good at any participating market. SNAP tokens (the wooden ones) are only good at the market where they were issued. Q: How does my market or farm stand, or CSA become a Double Up Food Bucks retailer? 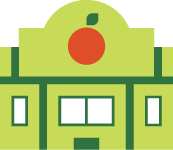 A: To be Double Up Food Bucks retailers, farmers’ markets, farm stands, and CSAs must be members of the NMFMA (click here for membership), have a reliable supply of fresh fruits and vegetables, and be an EBT retailer by enrolling through the Food and Nutrition Service of the USDA. Click here for the FNS application. The location must also have a committed and reliable manager to administer the program and report to the NMFMA. To learn about the requirements please email the program manager. Q: How does my grocery store become a Double Up Food Bucks retailer? A: For information about becoming a participating outlet, please email the program manager. To learn more about the requirements for grocery outlets or to inquire about becoming a Double Up grocer, please email the program manager.